MetalRockNews: Kiss' Paul Stanley to Nikki Sixx: "Get off your self-inflated pedestal"
Kiss' Paul Stanley to Nikki Sixx: "Get off your self-inflated pedestal"
Paul Stanley has rushed to the defense of his KISS bandmate Gene Simmons after Nikki Sixx slammed Gene over the KISS bassist's statement that the death of Prince, allegedly from a drug overdose, was "pathetic." Paul Stanley wrote in a post on Facebook: "Jesus Christ, Nikki Sixx! Would you please shut up, find another way to be in the news and get off your self-inflated pedestal? Regardless of some things Gene Simmons has said that I may take issue with, his influence on musicians (you included) is undeniable and will continue. More importantly, his work, generosity and monetary contributions to numerous causes and charities for those less fortunate makes your ongoing rant, in the scheme of things, the unimportant but annoying squeak it truly is. Move on." 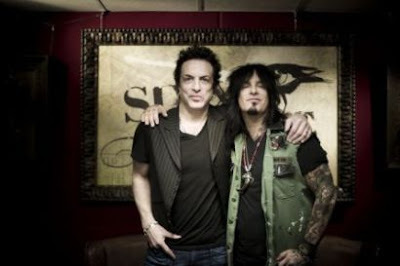 Nikki Sixx responded: "Looks like good old Paul doesn't like that someone called out his buddy Gene again...I will give him a standing ovation for calling out Gene himself publicly and then trying to hold my feet to the same fire, but you can't save him. If the press wants to run with a story, they got legs and we all know they need fresh content. I have to admit calling the next KISS album 'Move On' would be a clever idea though...Love to the Starchild. We all give to charities and support our troops etc because that the right thing to do with our success. Telling a depressed kid to kill themselves etc etc etc etc is not... So don't confuse issues."